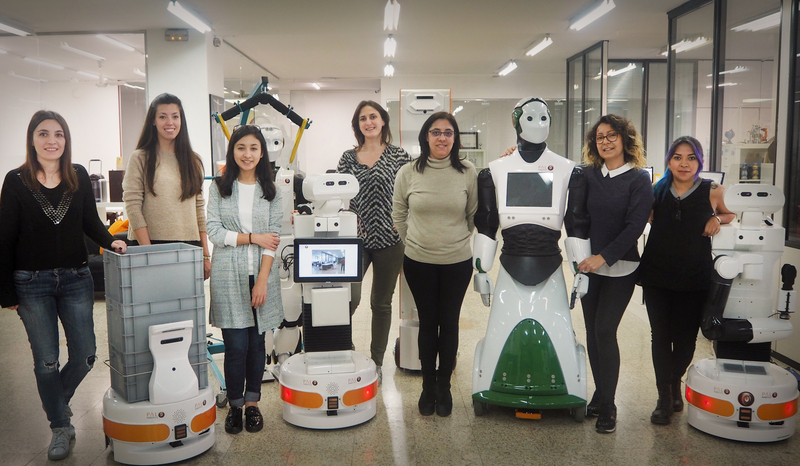 If you saw the modified TIAGo that competed at Robocup 2017 in Japan, you probably noticed that the robot looked a little different. 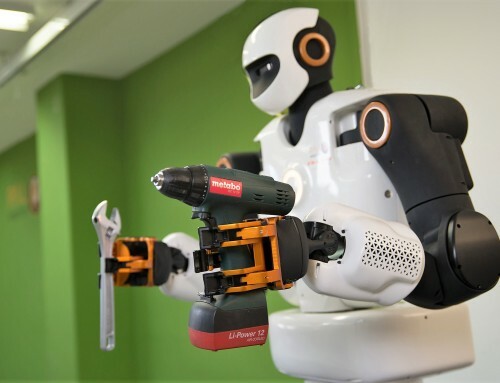 That’s because it was modified by the Technical University of Munich, specifically for the Robocup@Home Open Platform League, and aptly renamed TIAGo@Home. 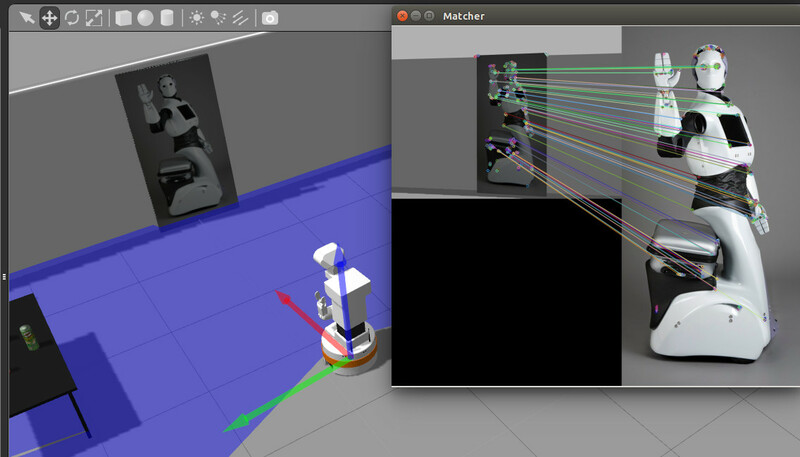 Keep reading to find out how the Alle@Home team hacked our robot. 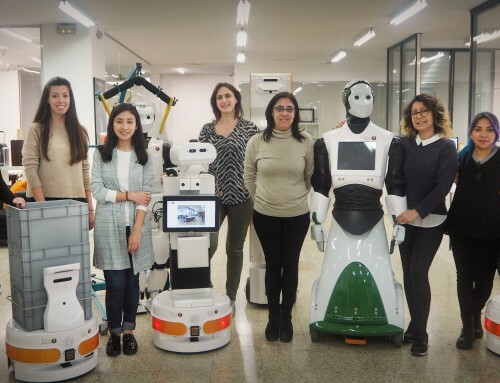 Although TIAGo comes equipped with a stereo microphone, the Alle@Home team added a large directional microphone on top of the robot’s head in order to pick up sound and enhance the robot’s speech recognition capabilities. Robocup can be pretty noisy, and the team wanted to make sure their robot could hear and respond to commands. The Alle@Home team used the laptop tray of TIAGO@Home to add a new computer that enhanced the robot’s computational capabilities. In a (technical) nutshell, they used deep learning algorithms running over CUDA in a NVidia GPU to detect people and objects moving around the competition. 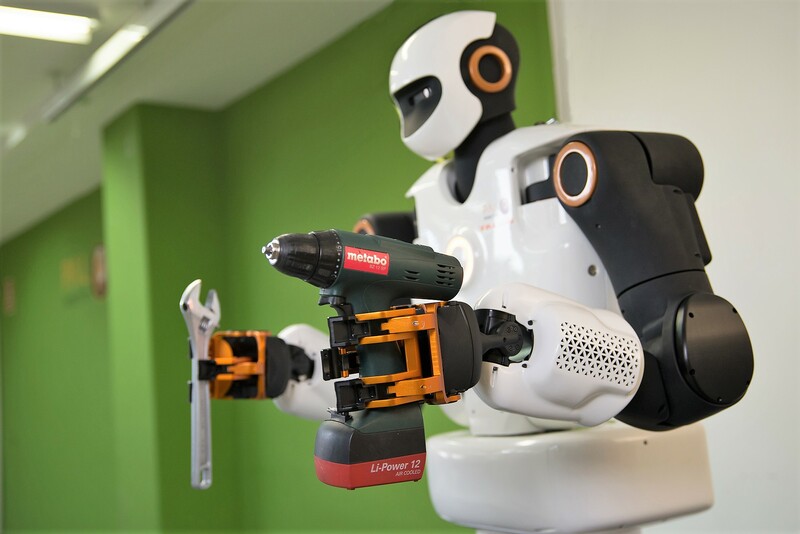 The team also added Artificial Skin – technology developed by scientists at the Technical University of Munich – to TIAGo@Home’s gripper. The Artificial Skin was created to increase robots’ multi-modal sensitivity, so that they can better understand and interpret their environment. Comprised of a large number of small hexagonal boards, the skin features energy-saving microprocessors and sensors to detect changes in speed, temperature and touch. 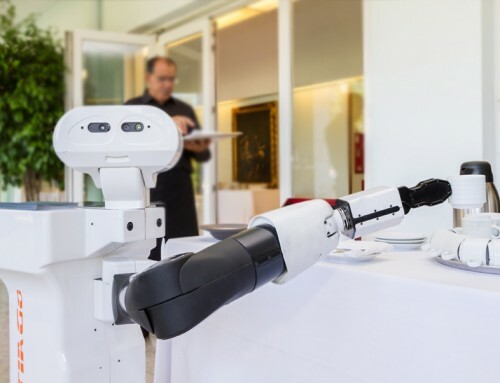 The skin boosted TIAGo@Home’s sensory capabilities, for example by helping the robot to sense proximity to other objects in three dimensional space. 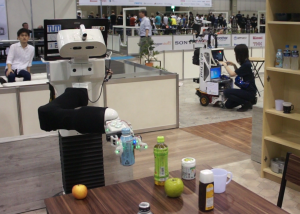 These capabilities were crucial at Robocup, as they helped the robot detect the proximity of objects in grasping tasks and fine command the gripper in order to grasp and place them effectively. The specific cha llenges facing the Alle@Home team called for specific hardware hacks. In order to grasp and move target objects, the team decided to 3D print new gripper fingers. 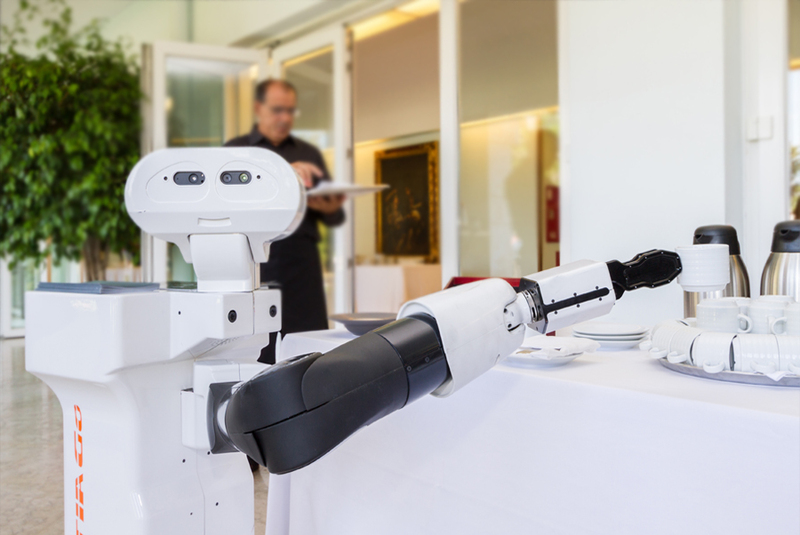 Although TIAGo comes with an interchangeable five-finger hand or parallel gripper, the new gripper enabled TIAGo@Home to move the objects with more accuracy and precision in the specific Robocup@Home tasks. 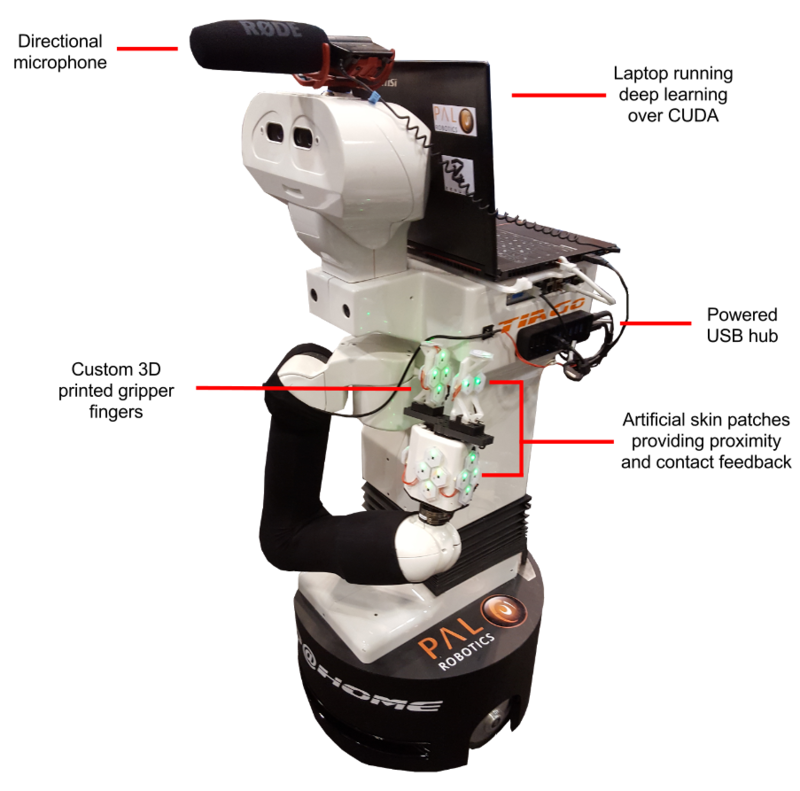 In order to connect the new microphone to the robot, the Alle@Home team added a USB hub. The hub is being powered externally by TIAGo’s expansion panel, which also contains a 12V connector providing 5A, a CAN service port and ethernet ports. 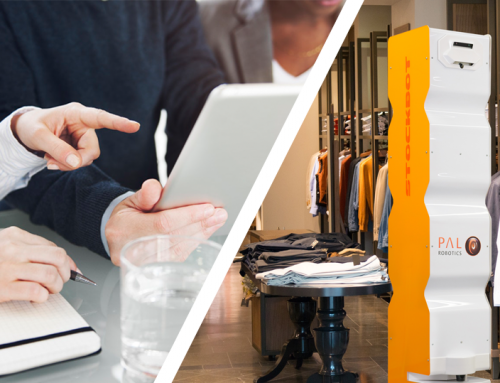 TIAGo is an open platform with a huge array of possibilities for expansion. 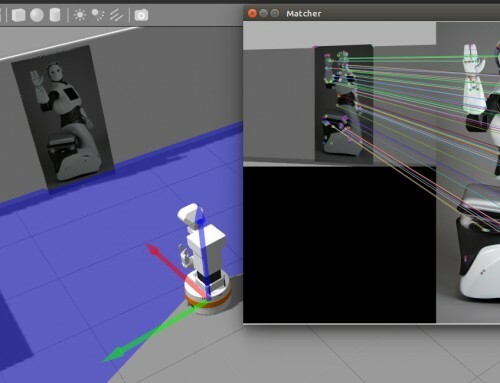 The robot’s modularity and flexibility, as well as its 100% ROS-compatible open-source software, mean that there are virtually no limits to the applications you can incorporate. The Alle@Home team added software and hardware hacks to suit their own requirements, and successfully made it through the first rounds of Robocup. Congratulations, Alle@Home! If you can’t afford your own robot, fear not. Have a play on our free simulation instead.